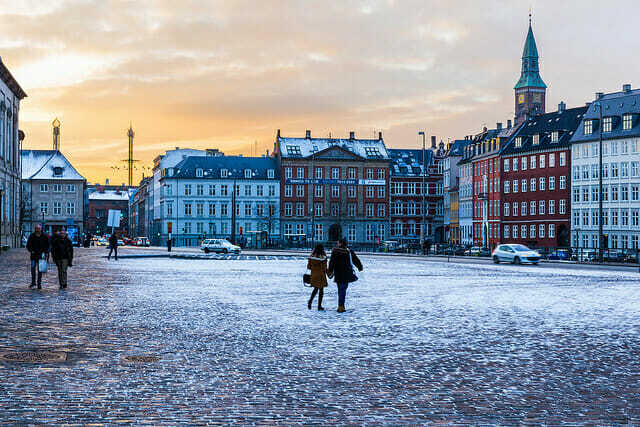 It’s cold, dark, and long, but winter in Denmark is also full of hygge activities (all about cosiness and well-being) to keep you warm inside and out. 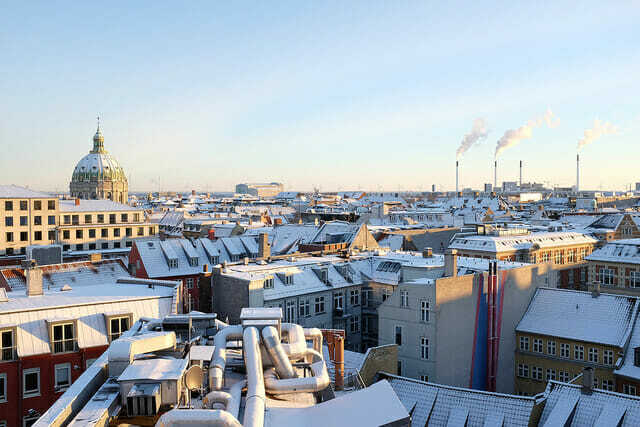 If you plan to visit Copenhagen between November and February, pack for temperatures below zero; don’t bundle up too tight, though, because you’ll need to move around to see all of the wonderful winter sights and activities. If the weather gets too much, there’s always the option of seeking shelter. Copenhagen has plenty of museums to spend a few warm hours in. 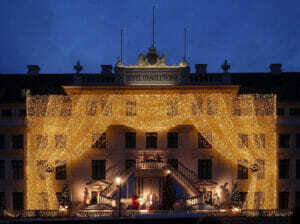 One special exhibition that’s well worth seeing is the Royal Copenhagen Christmas Tables. Using any of Royal Copenhagen’s distinctive porcelain, including some historical pieces, 6 artists and celebrities each put their creative talents to setting a table; these are then displayed at the Strøget-based store. 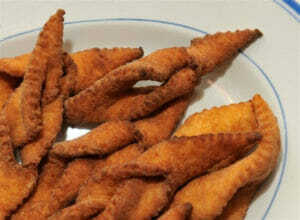 This tradition has been running every year since 1963, and is a popular sight for locals and tourists alike. If you stay in Strøget, you can easily shop at the main fashion stores, too. 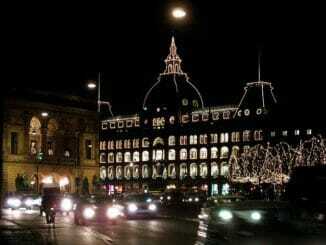 There are also two big department stores to explore, Magasin and Illum. 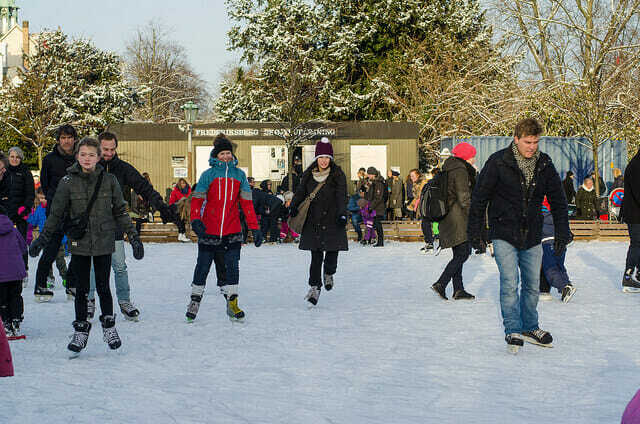 Winter’s the perfect time for some outdoor ice skating, and the rink in front of Frederiksberg Have is a popular choice. 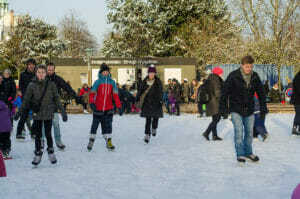 All abilities and ages are welcome, and the only cost is for rental of the ice skates themselves. For something more unique, try the Scandinavian tradition of winter bathing. Done correctly and in good health, it’s an invigorating experience – and in some places you can warm up in a sauna afterwards. 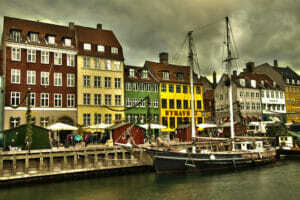 Sydhavnen (South Harbour) and Vinterbad Bryggen (Copenhagen Harbour Bath) are two good Copenhagener haunts. Nothing says Christmas like lights and decorations, and the small street of Kronprinsensgade is a notable example, with a beautiful “roof” of tiny lights spread overhead; it’s a great place for a Christmassy photo. On the other end of the spectrum is Centralhjørnet, Copenhagen’s oldest gay bar, which pulls out all the stops for a truly ostentatious display of decorations. If you just want to go big, then you can see two displays side-by-side in Kongens Nytorv. Hotel D’angleterre has a themed display with literal curtains of light, while Magasin Du Nord fills its windows with lights. 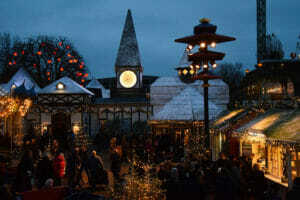 Europe is full of spectacular markets at Christmas, and Copenhagen is no exception. From mid- to late November right up to the big day (and sometimes beyond), stalls open for festive business selling gifts, food and warming drinks. 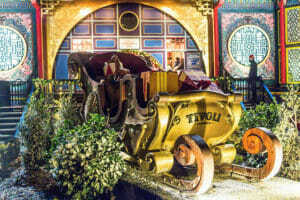 One of the most popular is the event at Tivoli Gardens. 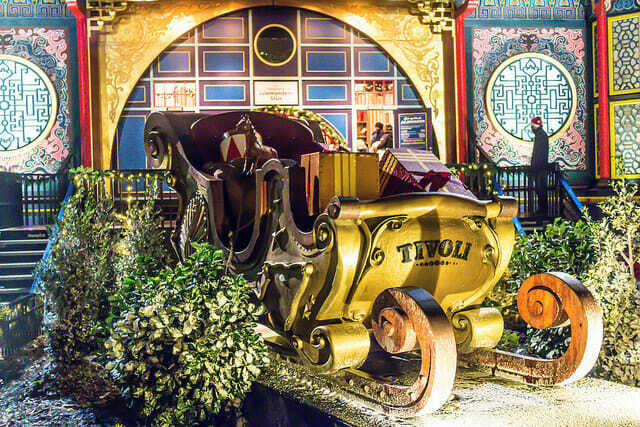 Well known for its Halloween celebrations, Tivoli also holds a themed event in winter, with just as many seasonal decorations, and a Christmas market as well. You can visit Santa and his reindeer, buy gifts and eat traditional food in the atmospheric gardens filled with snow-covered trees and humble wooden houses. 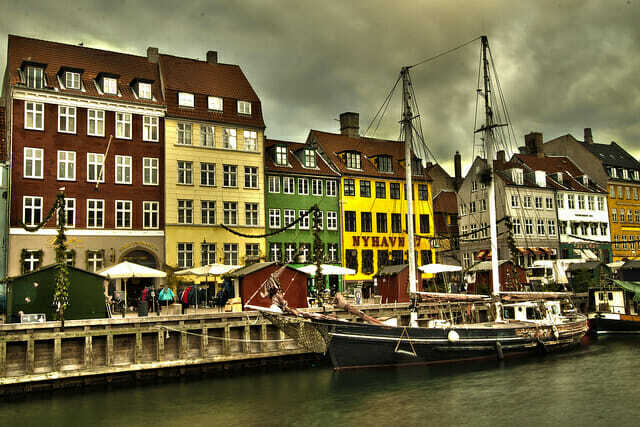 Another busy spot is Nyhavn, a common stop on a tourist’s list. Come November, it fully gets into the festive spirit, offering entertainment as well as the dozens of picturesque market stalls selling traditional Danish gifts and edible treats. Food, food and more food can also be found at the market in the Meatpacking District (Kødbyen). 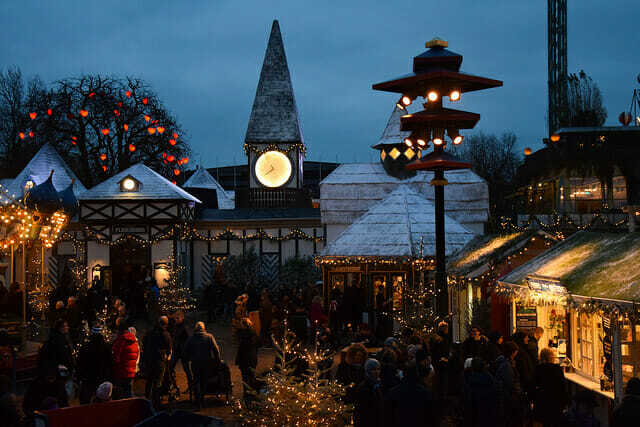 For something different, Freetown Christiania holds a Christmas market that you wouldn’t be blamed for mistaking for a Middle Eastern bazaar, where you can discover all kinds of handmade crafts. Food and drink are very important parts of hygge culture, especially during winter. If you haven’t had your fill at the markets, there are plenty of places around the city where you can enjoy the best of Danish Christmas cuisine. A hot drink is a truly heart-warming way to ward off the cold, and at Kalaset, you can indulge in a deluxe hot chocolate (along with anything else you might fancy – the pancakes are great, too). 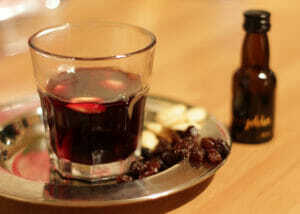 Another classic is a mulled wine-type drink called gløgg, made with wintry spices, raisins, and almonds steeped in snaps (often akvavit) and served piping hot. 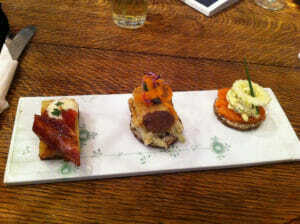 Hviids Vinstue and The Barking Dog are two great locations to try it out. Another alcoholic specialty around this time of year is Christmas beer. Practically every brewery joins in with this more recent tradition, and you’ll see them everywhere – Mikkeller & Friends has choices from around the world, on tap and in bottles (if you need the perfect gift for a beer-loving friend). Tuborg brewery has its annual special delivered on the first Friday of November by horse-drawn wagons, so you have plenty of time to taste your way around the capital. Soak up the alcohol and feed your sweet tooth at Conditori La Glace, a confectioner’s that has been running for six generations. At Christmas you can find every traditional cookie and cake that you could imagine – including marzipan pigs and klejner. 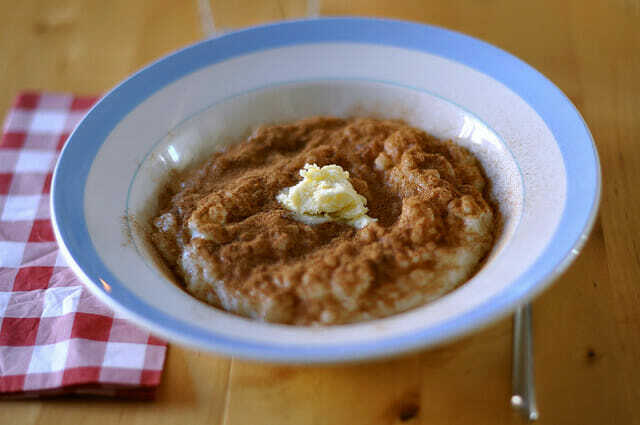 For something more substantial, try the deceptively simple risengrød – there’s nothing like a steaming bowl of it to keep you going when the temperature drops. Risengrød is a type of rice porridge, served with butter, cinnamon and sugar. 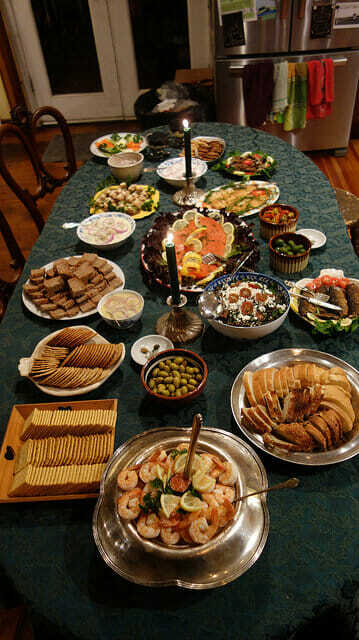 Traditionally served at the start of Christmas lunch, many Copenhageners now have it the day before so they can leave room for other things! You can try it whenever you want at Grød, at their Jægersborggade street restaurant or their stall in the Torvehallerne food market halls. On the subject of Christmas lunch, there are places for that, too – without the seven hour duration of the family meal. Slotskælderen hos Gitte Kik and Restaurant Kronborg both serve a traditional spread of cold items, which could range from marinated salmon, herring and liver pate to roast pork, cheese and a cold rice pudding called ris à l’amande. Another interesting option is Royal Smushi Cafe, which offers Christmas smørrebrød (open sandwiches) in small, “sushi” size, meaning you can try more of the menu at once! In short, it doesn’t matter how cold it is, there’s too much to do during a Copenhagen winter to not venture outside!